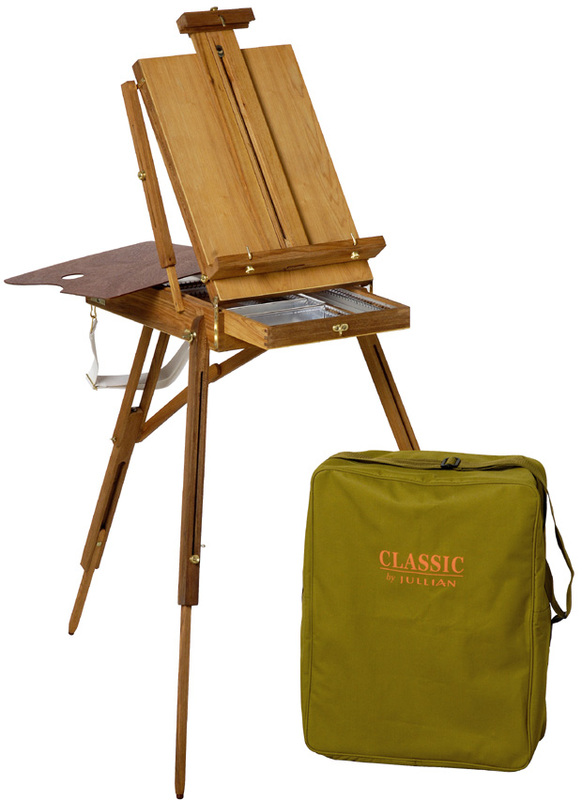 * Authentic Jullian (Paris) Easel in Handcrafted Elmwood with brass and brass plated hardware. * Synthetic leather strap, tag holder and handle with beige carry bag included. * Mahogany finish wooden palette included.